Explore the capital city, Bangkok. Home to majestic shrines, cultural sceneries and friendly faces! Known for its majestic shrines, cultural sceneries and friendly faces, Bangkok, Thailand is a perfect haven for someone’s laid back escapade. Its eye-catching infrastructure naturally attracts tourists. Its extensive yet majestic picturesque and landscape made the city one of the world’s best, that can’t stop famous magazine-publishing companies in the world keep talking about it. Bangkok is home to nearly 8.5 million people. It is located in Central Thailand having some of the best hotels and go-to places for a tourist’s trek in the country. Its majestic temples preserved enough for traveler’s relaxation and self-indulgence signifies the sublime culture of the country. These temples are made to be the city’s reliable source to know more information about Bangkok Thailand, especially with its history and religion. Visit Wat Phra Kaew, One of Bangkok’s Best. Wat Phra Kaew - The most revered temple in the country, and known to house the famous “Emerald Buddha”. It is situated in the proximity of Phra Nakhon district, Bangkok’s historic capital. The outside designs of the temple replicates the image of Buddha. Visit Wat Pho, One of Bangkok’s Best. Wat Pho - Also located in the Phra Nakhon District is Wat Pho, a royal temple remembering the rule of King Rama I. This is also the origin of some practices in Thailand, to name them: the Thai medicine and Thai massage. Visit Wat Arun, One of Bangkok’s Best. Wat Arun - Also called as the “Temple of Dawn”. This temple is considered as Thailand’s landmark. Its glowing outside appearance is a product of the sovereignty in the 17th and 19th century Thailand. Visit Wat Saket, One of Bangkok’s Best. Wat Saket - Also called as the “Golden Mount.” Aside from being a revered point, this is also a gathering place for fun fair “Loy Krathong,” this happens every November. Visit Wat Traimit, One of Bangkok’s Best. Wat Traimit - This is where the “Golden Buddha” can be seen. The buddha is known to be made during the Sukhothai Dynasty. The temple’s designs are also made with gold and its wall carvings are well-decorated. Visit Loha Prasat, One of Bangkok’s Best. Loha Prasat - This buddhist temple is located in the Phra Nakhon District. Its spires are uniquely attractive especially at night time. This temple also signifies the royal side of the ancient Thailand. Visit Wat Mahathat, One of Bangkok’s Best. Wat Mahathat - Located in Central Thailand is the “Temple of the Great Relic” or the Wat Mahathat. This is where the famous head of a Buddha statue can be seen. Visit Wat Suthat, One of Bangkok’s Best. Wat Suthat - One of the oldest temples in the city. The temple was constructed in the time of King Rama I. It is known because of its “Giant Swing”. Visit Wat Benja, One of Bangkok’s Best. Wat Benja - Wat Benja is a buddhist temple made in the 1990, made happen with the leadership of King Rama V. For sightseeing purposes, you can do so by walking in the Marble Temple and scanning through those statues inside. Visit Wat Prayoon, One of Bangkok’s Best. Wat Prayoon - A buddhist temple built in the year 1828. The temple is complete in terms of the Buddhist format, namely: meditation halls, the Chedi, the library and the assembly area. Aside from being a one stop for travelers, Bangkok is also the main confidant for the country’s advancing economy. Its notable imprint to Thailand’s economy eventually led the country to be one of those economic powers not just in Asia but to the continents across the globe. The advancement and development of Thailand is mainly because of the undergoing business upholding’s in the city. Wholesaling, trading, manufacturing and automotive industry are the leading contributors of the country’s improving economic superiority. One of the hallmarks which Bangkok is eminent of are the amazing buildings surrounding the city, add more to its astonishing skylines. The architecture in Bangkok literally beats its neighboring Asian nation’s designs, an urban zone explicit enough to allure your senses. But aside from being conventionally attractive in terms of industrial images, a rustic side can also be served to your presence. A small forest is settled in one zone of the city. This is called the “Bang Krachao”, a park built for locals to enjoy a fresh and cozy breeze. Its green and countryside setting is good for cycling, jogging and even family picnics for weekends. This place was built to provide the Thai people their relaxation from a busy and hustling city ambience. Aside from these amazing facts, the Thai people are also the gem of the city. Their lively, vibrant and captivating smiles does entail the well-preserved culture and tradition of Thailand. These facts about Bangkok, Thailand offer not just a surface of the city but to its people as well. Get to know why! Bangkok recorded as the city with the most population. People coming from the country’s provinces move to Bangkok for work purposes, this is one proof of Bangkok’s increasing population. This vindication does not imply to the safety of tourists, in fact, the people in Bangkok are also part of the tourism of the city. 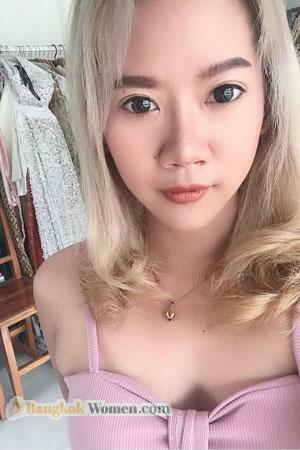 Fall in love with the magic, beauty and friendly faces of people in Bangkok. Bangkok men, women, children and the elderly are considered as some of the hospitable and respectful personnels in Asia. Why is this so? Just consider the many temples of Bangkok, what do they teach? The principles being taught in those temples replicate the attitude of the people in the borders of the city. The traditions which we’ll study more does observe proper etiquette which the Thai people could have practiced and applied to themselves. These people’s smiling and friendly faces extracts them to be notable and well-respected beings. Their smiles can surely allure someone. Their friendly negotiations does invoke that Bangkok, Thailand is a land of both promise and friendship. This Asian country is inevitably the continent’s pride. Aside from its neighboring countries, Thailand offers wonders. In Bangkok, equality is seen. Just consider the gender-equality and even the respect everyone earns from all around the globe. 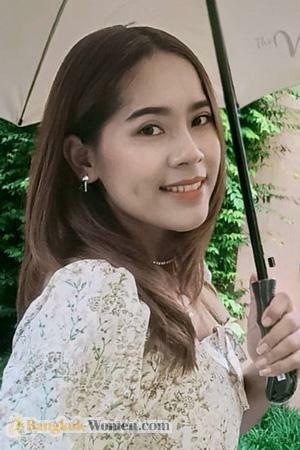 The magic, the beauty and the friendly faces of the people in Bangkok are what made the city a fun loving place to visit and enjoy your best sojourn. 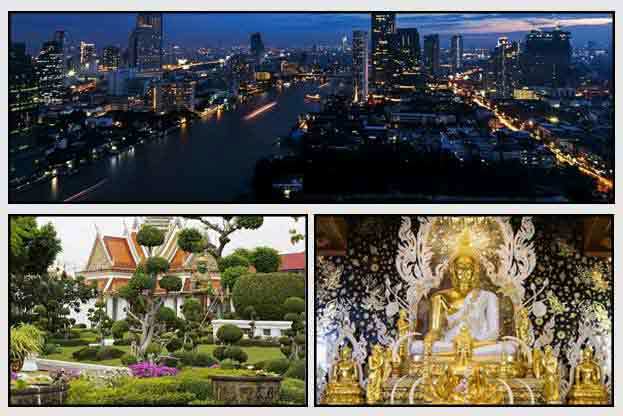 Visit Bangkok, Thailand, where enjoyment and relaxation with a religious taste is at its finest.